According to UN estimates, the aged population in the world is expected to touch 22% by 2050. 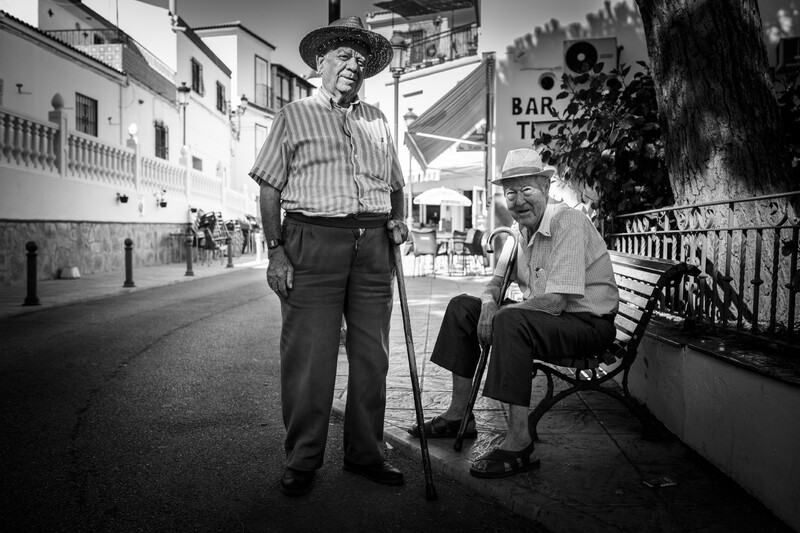 According to UN estimates, the aged population in the world is expected to touch 22% by 2050. In 2006, the aged constituted 11% of the world population. The Eastern culture emphasizes strongly on children’s responsibility to care for their own parents. Any faux-pas and you’re sure to be featured on the neighborhood gossip column. Some children cohabit with their parents, often referred to as the sandwich generation, caring for both their parents and their children. Others support their parents financially while living apart. This gives them the much-coveted privacy with their spouse and kids. Then we have the last bunch, who comfortably relegate parent care to nursing homes/old age homes or fancy retirement homes. They needed someone who understood what they’re going through and talking to an introverted teenager was clearly not something they enjoyed. The thing that intrigued me the most was that the majority of inmates had successful careers. They had remarkable stories to tell. I’d keep exclaiming to my grandmother in surprise — you mean he’s really a doctor?…and was a chief engineer and she’s a principal of such and such a school? Some had children working in the Gulf countries, the U.S, the U.K or Canada. Almost 90% of the inmates’ children were accomplished professionals too, just like they were — doctors, engineers, army men, lawyers and business people. I wondered how educated people who had successful careers and well-to-do children ended up here. In my mind’s eye, old age homes were for the homeless — the ones who didn’t have siblings or children or those whose family died in a plane crash. If we can find the common denominator in the people in old age homes who hail from various social, religious and professional backgrounds, we can break that vicious cycle and save old ages home for the ones who really need them — the ones without family. These are some of my assumptions based on my observation. Though it is not wise to assume without verified facts and figures, I didn’t want to make things worse by passing a survey leaflet around and stir bittersweet memories (though my questions could have shed light on the validity of my assumptions!) So, visit after visit, I kept up my picture perfect grin and waited for us to get out of the place. There was nothing inherently unattractive about the place, it had a lush garden and they served delicious snacks. Most inmates had successful careers and we all know that it takes time and effort to build a successful career. It could have been that they pursued their career with passion or were focused on their friends or had hobbies to pursue. Whatever the case, they hadn’t spent time enough with their children to form a strong emotional bond. I am not advocating that you should not work hard or have hobbies or friends. All I am saying is that you’ve got to prioritize and do what it takes to stay connected with your kids without slacking off at work or shunning your friends. Any sensible manager would not mind you leaving early for your daughter’s dance rehearsal provided you complete your assignment or pitch in to help a colleague when called on. However, you have to remember that loyalty is two-sided and bank-in before you making withdrawals. Children are creatures of emotions than creatures of logic, just like adults and more so. Children inherently interpret value differently than most adults. If you can’t listen to them rattle on about angels, dolls, cars or superman and a million other “silly” things and if you’re too tired to play peekaboo, and if the pet dog they’ve been begging you for is an inconvenience to you, chances are, you’ll never amount to more than their “money bank”. The mother could be looked upon as the money bank or the food bank. It isn’t mean when babies associate mom with food and nap time. It’s meant to start that way and develop into something more. When parties and business dinners constantly take precedence over family camps under the stars; when you’d rather cancel your visit to your son’s football game than the dinner with the visiting acquaintance, you’re sending a clear message about what’s important to you. There is nothing wrong in being a responsible parent and prioritizing your career in order to give your family better quality of life. That is indeed the right thing to do. In some families, both spouses choose to work, not because they can’t make ends meet but to afford a better home and to save up for their kid’s top B-school education. But time spent and undivided attention is what actually translates as value to children compared to the more important things. Striking the right balance is key. There’s nothing wrong with expensive gadgets and vacations but if you have to choose between an expensive gadget and something worth remembering, a fishing trip or a favorite treat in a local cafe will accomplish more in terms of relationship building. It is a known fact that they’ll mumble about their friend’s latest xbox and iPhone 7 plus or drop subtle hints about the neighbors’ action packed summer trip to Italy. (The message being, aren’t we going anywhere overseas and if not, why not?). As they grow up, they might tell you that the only course they’re interested in is available overseas and it’s going to cost $100,000. In any case, it’s the manipulator in a child trying to set you off on a guilt trip of not being the “good-enough” parent. And if you fall for it, it can drive you to clock in extra hours to ease the guilt, perpetuating the vicious cycle of less time with the kids. All of us are trying to be better parents and there are no super parents. It is more important to spend quality time together and be mentally present in everyday stuff such as breakfast and dinner with the family, being there to help with homework and DIY projects and most importantly, listening when they want to talk. I know a few people who’d top the “best children to have” list. One of them repeatedly forfeited his overseas job stint since he didn’t want to leave his parents alone (they weren’t super old but still he wanted to be around to take care). Two other friends who could have had great careers overseas where their skill was in high-demand but relocated back to their parent’s place and the only reason was that they didn’t want their parents to live alone. Another friend works part time without focusing on her career building just so she can have enough time for her sick mom and dad. She has even gone beyond the bare minimum to make sure they’re well-cared for and has employed two nurses at home — one for the mom and one for the dad! Another friend travels to his country almost every year to surprise his mom and dad on their respective birthdays, though each trip is a financial strain. The common theme in all these people is that they had memorable childhoods, glamorous or otherwise. They had memories too vivid to run from and their parents had spent quality time with them. It is not surprising that they spontaneously wanted to reciprocate. More like a reflex action. There’s not even a question of career growth vs living with parents. Their parents take precedence with no second thoughts….and these are all millennials! There’s nothing wrong in spending retirement in an old age home, if you like being by yourself and love to spend retirement with people of your age. However, most people I meet seem to want to be around family. If you’re one of them, start investing time with your children. It’s never too late to start! And for those who don’t have kids, it’s never too late to adopt. Another option is to start investing time in your nieces and nephews. They’d make great surrogate kids especially since they’re closely related. One of my mom’s cousins was adopted by her aunt who didn’t have kids and she was well taken care of. On the other hand, my mom’s sister who didn’t go for adoption now regrets not having anyone around. And when they’re connected emotionally, the thought of you in an old age home will be a nightmare than an alternative solution cos you’re more than just a money bank, you’re a friend. Even as parents having done all the right things, we cannot deny the fact that the occasional black sheep still exists. However, the best bet is to raise children right! Forming an emotional bond with your child takes time and it is the proven way of making them remember you decades later. Originally published at https://www.linkedin.com on February 13, 2017.